Augvape, very familiar to vapers, the Merlin in 2016, the Druga in 2017, conquered a large number of users and industry people in domestic and abroad, has long been a signboard in the circle of Vape. Today we will have a review about the Intake RTA. First let's introduce it briefly. 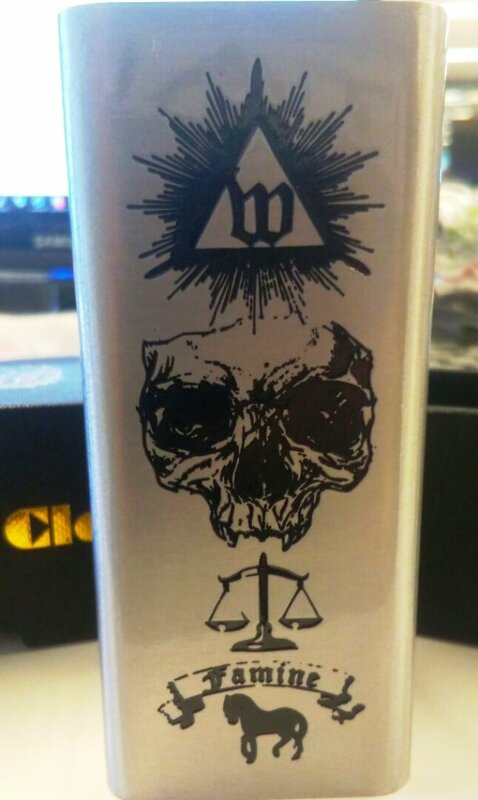 Augvape Intake RTAis a unique rebuildable dripping atomizer co-designed by Augvape and Mikevapes with 24mm diameter and 4.2ml or 2.5ml juice capacity. It has LEAK PROOF single coil atomizer with two tubes to direct the air from top to the bottom of coils, and that's the reason why it is called INTAKE RTA. Augvape Intake RTA Tank Atomizer is easy to build with open channels from two building posts. Moreover, it comes with a low profile RESIN drip tip and a tall delrin drip tip. You can use 510 drip tip with the 510 adapter. 2018, the year of the airflow. It seems like every new product comes out with a different airflow design, trying to strike the perfect balance between a smooth inhale and awesome flavor. Some do it right, some don't. This one looks like a winner – on paper at least. The two 3-mm diameter tubes on the Intake's build deck will be used to transfer the air from the top to directly under the coil, making it the first ever top-to-bottom airflow RTA. The only thing the user will have to do is align the airflow tubes with the two holes placed under the spinning chamber cap. Last but not the least, the following words are about the Augvape Intake RTA's performance. When using 4.2ml tube, the taste reduction is more accurate, the layering is good, the intensity is similar to the data-side intake RDA, the smoke volume is also considerable, and the smoke heat is low. When using 2.5ml tube, the taste reduction and layering are slightly poorer than the feeling of 4.2ml tube, and the smoke heat is increased (reducing the lengthening of the flue gas), and the richness is greatly enhanced and the smoke density is increased.